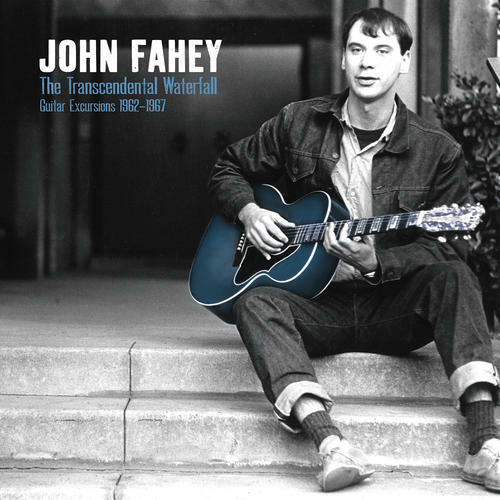 (6-LP set) The Transcendental Waterfall - Guitar Excursions 1962-1967 is a 6-LP box set drawing from John Fahey's best, and most influential, period. Included in the set are Blind Joe Death, Death Chants, Breakdowns, And Military Waltzes, The Dance of Death and Other Plantation Favorites, The Great San Bernardino Birthday Party, The Transfiguration of Blind Joe Death, and Days Have Gone By, all reissued on 180 gram vinyl with deluxe tip-on jackets. Also included are a large t-shirt, poster, and a postcard, all of which are housed in a deluxe box with stunning graphic design. An amazing package featuring some of the most important guitar solo recordings of the 20th century. Limited edition of 2,000.